Whenever I travel some place, I like to sample the local cuisine. I devoured local dishes in Costa Rica and Chile (and really really wish a restaurant with these traditional dishes would open in the Bay Area). Surprisingly I try to go to a place without any preconceptions; I went to Puerto Rico without researching the typical cuisine. 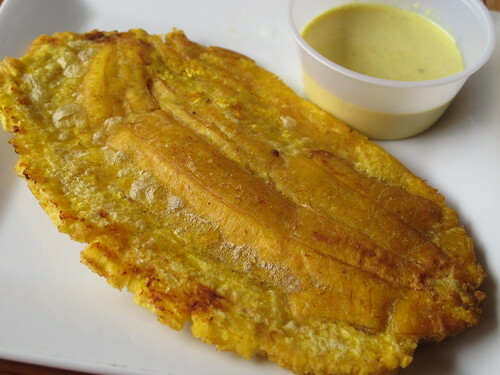 "Puerto Rican food ... [is] equate[d] .. with Mexican cuisine. Although some of the ingredients are the same, the flavors could not be more different. 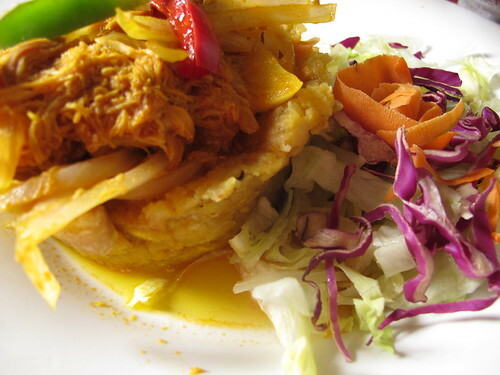 The deeply flavored cuisine is a result of a hodgepodge of cultural influences on the island. Roots like yams, yuca and taro were cultivated by the Tainos, the native population of Amerindians. 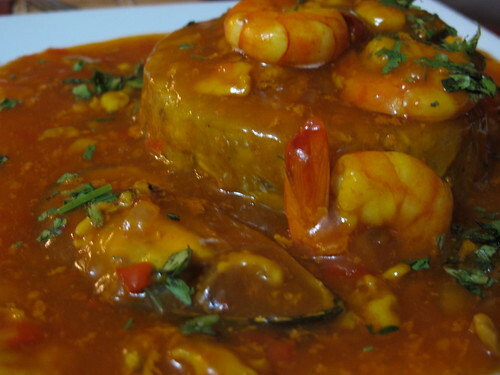 The Spanish arrived with coconuts, eggplant and seasonings like cilantro, onion and garlic. African slaves brought okra and plantains." Based on my experiences in Costa Rica and Chile and at local Peruvian restaurants, I wasn't expecting Mexican food in Puerto Rico. When I stepped off the plane I was ready to get started sampling the food; rather than find what we were looking for, my husband, friends, and I entered The Twilight Zone (a story for another time). Our second night, we had our first taste of Puerto Rican cuisine. 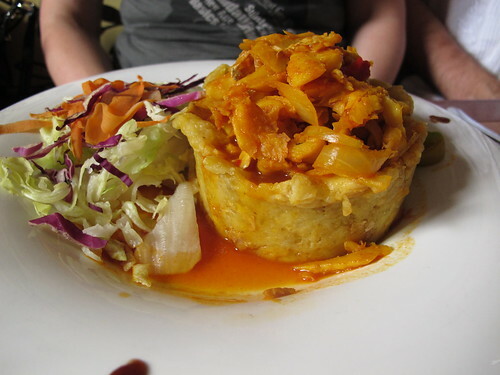 Two typical dishes we tried in both Old San Juan and the Loquillo Kioskos were Mofongo and Tostones (both made with plantains). Did you bring back any foods from your honeymoon?